Posted February 5, 2018 & filed under Events in Dewey Beach DE. As chilly winter weather sweeps across the country, the Atlantic View Hotel is looking forward to the warm spring months ahead. Filled with music, laughter and fun, there is nothing like a spring vacation to Dewey Beach, especially if you are looking for a place where you can kick back and relax during the day while enjoying incredible music and an exhilarating atmosphere at night. With music festivals going on throughout the spring season, every weekend here is one to remember. So how do you decide when you should visit? 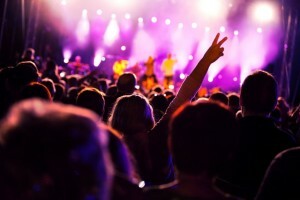 When it comes to planning your weekend vacation, we recommend deciding when you will visit based on the music festival most suited to your taste. Whether you love pop music, country music or want to dance to a DJ all night, there is an adventure ahead of you when you visit the Atlantic View Hotel! This spring, Dewey Beach with be home to a few different festivals, including Firefly Music Festival, Dewey Beach DJ Fest, and Dewey Beach Pop Fest. While lineups have not yet been released, if past festivals are any indication of what this year’s shows will be like, we are sure you will have a blast! To stay up to date on all Dewey Beach music events, check out Dewey Beach Life. Ready to make your spring vacation plans? Get your friends together and book your stay at the Atlantic View Hotel. We can’t wait to see you here!